You might be one of those people who gets a flu shot every year and carefully navigates through flu season, but that isn’t always a guarantee that you’ll stay healthy. Up to this point, experts have believed that exposure to the flu didn’t really affect your chances of getting it again. However, a new study suggests that might not be true. 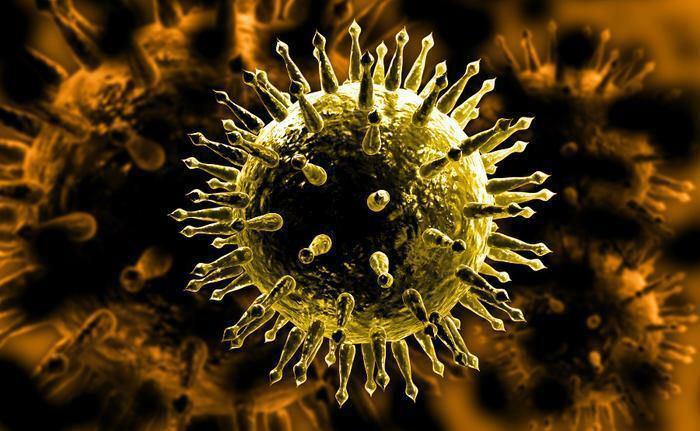 Researchers from the University of Arizona and University of California, Los Angeles have found that a person’s susceptibility to animal flu viruses like swine flu and avian flu can be determined by the first strain of flu virus they encounter in their lives. The finding could prove to be monumental in helping people avoid serious illness, as well as economies from suffering the financial toll. "Even a comparatively weak, mild pandemic flu event like the 2009 H1N1 (swine flu) outbreak is a trillion-dollar affair. A major pandemic like the one we saw in 1918 has the potential to kill large numbers of people and shut down the world's economy," said senior author Michael Worobey. In order to explain how our immune systems interact with various flu viruses, Worobey uses an analogy involving lollipops. Basically, it demonstrates how different flu strains share common characteristics that our immune system can respond to effectively if it has encountered it previously. "Let's say you were first exposed to a human 'orange lollipop' flu as a kid," Worobey explains. "If later in life you encounter another subtype of flu virus, one from a bird and one that your immune system has never seen before but whose proteins also are of a similar 'orange' flavor, your chances of dying are quite low because of cross-protection. But if you were first infected with a virus from the 'blue lollipop' group as kid, that won't protect you against this novel, 'orange' strain." The researchers tested the theory by studying two devastating avian flu viruses, H5N1 and H7N9. The two strains are a top concern for health officials because they have already caused severe illness and death, and they could eventually mutate and rapidly spread among humans. After examining all cases pertaining to the two strains, the researchers found that immunity to them could be determined by the first flu strain that people experienced when they were kids. They call the phenomenon “immunological imprinting,” and they believe it likely determines the type of protection your body has against the flu for the rest of your life. The findings of the study could be groundbreaking because it suggests that there are more factors at play when determining immunity to the flu. In the case of the H5 and H7 strains that were studied, Worobrey notes that even if we have never been exposed to either, our bodies have a chance of being protected against one or the other. However, the researchers say that their findings aren’t all good news. Worobey explains how immunological imprinting can be both a blessing and a curse. "In a way it's a good-news, bad-news story. It's good news in the sense that we can now see the factor that really explains a big part of the story: Your first infection sets you up for either success or failure in a huge way, even against 'novel' flu strains. The bad news is the very same imprinting that provides such great protection may be difficult to alter with vaccines: A good universal vaccine should provide protection where you lack it most, but the epidemiological data suggest we may be locked into strong protection against just half of the family tree of flu strains," he said. The full study has been published in the journal Science.